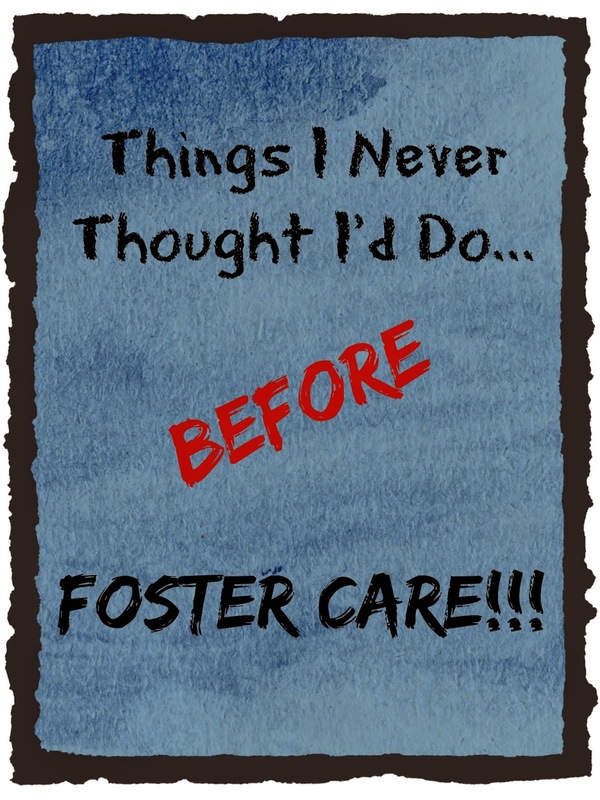 I Must Be Trippin': Another "First"
So a couple of weeks ago, I added another item to the list of "Things I Never Thought I'd Do Before Foster Care" when I wrote a letter to Bug's birthmother in prison. I have never met the woman who gave birth to my son, and she hasn't seen him since he was two months old so I really didn't know what to expect. I had heard from several different sources over the past year and a half that led me to believe that despite everything that happened early in his life and the choices that she made, she loves Bug very much. The fact that she voluntarily relinquished her parental rights and added for the record that she knew that Bug was in a good and loving home and would have the life that she wants for him with me gave me the added push to reach out to her when Bug's adoption became finalized. I had no idea what to say or where to begin. What exactly do you say to the woman who gave your son life, but made terrible choices that ultimately ended in her losing her child? I decided to start by explaining who I was and letting her know that I was writing because I wanted to tell her about Bug. I knew that she had a general idea of who Bug was with after meeting Heaven's mother in jail earlier last year and Heaven making the connection (another one of those "only in foster care" moments), but I was never allowed to contact her while Bug was a ward of the state. Now that he's officially mine, I wanted to do what I thought was right for my son and reach out to the woman who loved him first. I told her all about Bug's personality, his likes and dislikes, shared a couple of funny stories, and sent a few recent photos. I acknowledged that I understood how difficult it was for her to relinquish and to be apart from him. I ended by opening the door for contact with me and told her that I understood if that would be too difficult. I didn't specifically say "thank you for giving me my son" - just acknowledged her feelings and put the ball in her court for correspondence with me. I specifically said, "My hope is that you would like to keep in contact and that [Bug] will have the opportunity to meet you and know you when he’s older." I thought that statement would make it clear that there will be no personal contact with Bug now, but that I'm not opposed to it in the future. Then I looked up the guidelines for mailing letters to inmates at her prison because I had no clue what I was doing, wrote what seemed like a novel to address an envelope, plopped on a couple of stamps, and dropped the letter in the outgoing mail at work (I'm sure the mailroom staff had some raised eyebrows when they came across that one!). That was two weeks ago, and I have since sat with baited breath and wondered whether or not I had done the right thing. I woke up with a gnawing feeling that I needed to go check Bug's PO box. I set up a post office box under his birth name so his birth family could maintain contact with him and we could maintain our anonymity. His maternal grandmother was given the address back in September, but has never used it and the box has sat unused since it was opened. I drove to the post office at lunch, and in our box was a lone key to one of the parcel boxes. Inside was a package that contained this book, a CD, and a form letter from the director of the volunteer organization that helps incarcerated mothers connect with their children by giving them the opportunity to read a book to their child. I immediately put the CD in my car's CD player and was able to hear the voice of the young woman who gave birth to my son as she read the book that she had chosen especially for him. Several people have asked me how I can be so invested in my children's birth families. Why does it matter so much to me that my children have some sort of connection to the people who gave them life when they failed them time and time again? For me, the answer is simple. I have three forever children whose birthmothers have all battled addictions and demons that they just haven't been able to overcome. They love their children, but addiction often has such an incredible stronghold over a person that someone without a strong support system simply can't escape it. I love my children more than words can say, and I feel like I owe it to them to extend a piece of that love to the women who gave birth to them - to show them compassion and grace. 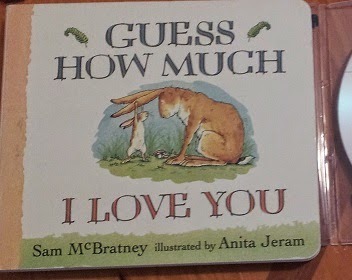 Bug's birthmother may never be able to overcome her addictions or heal to the point where she can have an ongoing relationship with him, but as of today my son will be able to hear the voice of his first mommy telling him that he "is more loved than he will ever know." 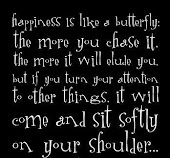 And that, my friends, is worth the risk. Thank you for sharing this very moving post. Very cool! You are an awesome mom! My 11 year old Buddy broke down crying today because he doesn't know any of his birth family (all my other kids know at least one birth family member). Buddy has been with me since he was 15 months old and knows me as his mom, but he also knows his story and hurts because he is missing that connection. You are doing the right thing in a very safe manner. Well Holy Crap this made me bawl! This is absolutely amazing. You are an inspiration to all of us foster moms!!!! Your bravery is so inspiring! Thank you so much for sharing! Entering my 7th year as a single foster (now ADOPTIVE) mom. Most days I think "I Must Be Trippin'" when I talk about all of the craziness that is Foster/Adopt Land in one breath, and how much I LOVE MY LIFE in the next. Because I DO love my life, and I wouldn't change a thing. Panic Attacks Over Something GOOD? Like Our Blog? Click Here Daily to Vote! "Bug" - 12/2012 to FOREVER - 2 months old at placement - ADOPTED BY ME 3/4/2014!! !